The Autumn season is officially upon us. Pumpkin lattes are everywhere to be found and soon the leaves will be changing colors, but October is more than a humble welcome to Fall. It’s also Breast Cancer Awareness Month, and we’re doing everything we can to spread the word, give back, and help those who need it most. 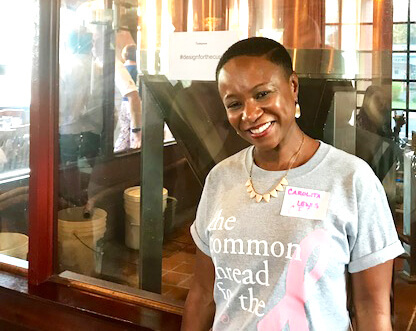 Our very own Project Coordinator, Carolita Lewis, fought the hard battle against breast cancer… and WON with flying colors. As she hopes to inspire others to never give up, Carolita wrote an incredible essay about her fight, and we can only hope her voice reaches every single person who needs to hear her the most. We hope her story below touches you as much as it did us. It was April 2017 (Good Friday morning). I was sitting on the edge of my bed when I noticed an abnormality. My first thought was, “something isn’t right.” I immediately called my primary care physician and she wanted to see me right away. I made an appointment for the following Monday. The next few days were the longest days of my life. Little did I know, longer days followed. The doctors performed several tests – mammograms, MRIs, biopsies, etc., and all I could do was wait for results. About a week and a half later, I received a call from my surgeon while I was at work. In the far reaches of my mind I knew something wasn’t right. But nothing prepares you to hear those words. The world, time, and everything else…. stopped. She continued to explain my diagnosis and the next steps to take, but all I heard was muffled noises on the other end. I needed to get off the phone with her. I needed to process all of the craziness. I sat in my car and bawled my eyes out. Two hours later, I was able to return to my desk and finish my work day. I was 39 years old and didn’t even have my first mammogram yet, (these check-ups are usually recommended to begin at the age of 40). I was diagnosed with Stage 1 breast cancer, Triple Positive (ER+/PR+/Her2+). I was given the option of a single or double mastectomy. I struggled for a few days with the idea of having my breasts removed. I thought I would feel like or be less of a woman. I felt like I could never be whole again. A few days later I had the overwhelming feeling of wanting them gone. All I could think was if they were going to kill me, I want them gone. I called my breast surgeon and we made plans for a double mastectomy with reconstruction. June 13th 2017. I underwent an 8-hr surgery to remove all of my tissue and 4 lymph nodes. All of the cancer was removed, and it hadn’t spread to any other parts of my body. I smiled for the first time in months. This was my first glimpse of hope. I was scared out of my mind on my first day of chemotherapy. I didn’t know what to expect. I didn’t want to feel sick and weak every day. I didn’t want to lose my hair. I didn’t want to look like a cancer patient. As I sat in the chair, I was scoping out every exit to see which one would be the quickest way out if I were to make a run for it. Five hours later, my first infusion was done and it wasn’t so bad. In the months that followed I did a total of 10 rounds of chemotherapy. I did lose all of my hair – even my eyelashes. Who knew. Thankfully, I never felt weak or sick. This was my second smiling moment. September 28, 2017. My 40th birthday. This was my last chemotherapy treatment. My birthday and my cancer-free anniversary. Double the celebration! December 8, 2017. My 4 ½ hour reconstruction surgery was successful. I continued my infusions of hormone therapy (Herceptin), which I recently completed this past July. One of my biggest fears was working up the courage to tell my 9-year-old daughter that her mom has breast cancer. I didn’t even know if she knew what those words meant. My breast surgeon coached me through some of the possible questions she’d ask and how to answer them. She said the first thing my daughter would probably ask was: is her mom going to die. A different level of fear set in. How would I answer that? My surgeon said I would tell her this: “I’ll be just fine. I have a good team of doctors and an amazing support system. My chances of beating this are very favorable.” And it was true. As my breast surgeon predicted, that was one of my daughter’s first questions. I fought hard to hold back the tears and put on a brave face to assure her that I would be ok, even though fear was eating away at me. To my Primary Care Physician: I’m grateful that you made every effort to ensure that I received prompt attention and quick appointments. To my Oncologist: Thank you for always being so very caring, compassionate and thorough. To my Plastic Surgeon: You are amazing. Not only were you extremely accommodating, but you made sure I was satisfied with every result at every interval of the process. To my Breast Surgeon: You were equally as amazing. You were very thorough and compassionate when explaining and sharing information. You were the glue that held my team together. And to the nurses on the chemotherapy unit: I am forever grateful for your compassion and kindness and I will cherish the friendships we’ve made. My family, friends and coworkers were also a tower of strength and support. They never left my side and always offered words of encouragement, and for that I am eternally grateful. There were two important things that allowed me to remain strong and fight. 1) I was surrounded by people that truly cared about me. 2) I always kept a positive mindset and attitude. This quote gave me hope and inspired me to always look for the rainbow at the end of this “storm.” There were so many moments I was tempted to ask, “why me?” Instead, I looked for clarity and purpose. Instead I asked, “what am I to learn from this? What is my purpose during and after this journey?” My faith steered me from doubt. I knew I would see my rainbow. Cancer has motivated me to live a free and full life and to inspire whomever I come into contact with, especially other women faced with the challenge of fighting this disease. I hope that I can inspire other women that are facing this challenge. To you I say: Be brave. Be strong. And keep looking ahead for your rainbow. Carolita’s story inspires so many of us at CFI, and many of our employees have recently been volunteering their time to help design, cut, sew, and stuff mastectomy pillows that will later be hand-delivered to care centers in the area. 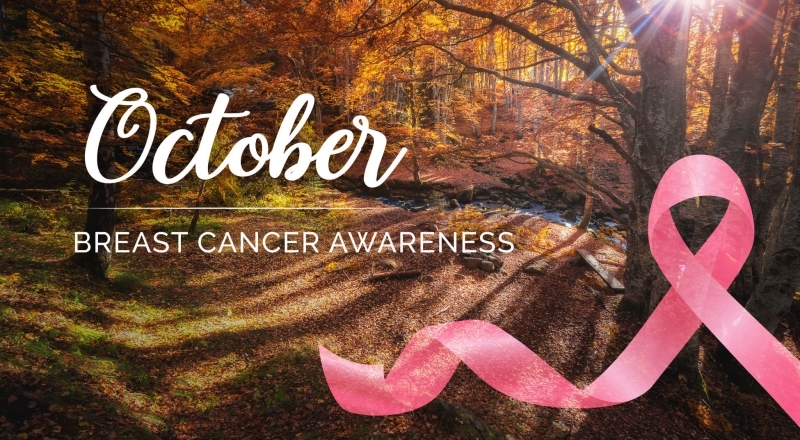 We invite you to join us in raising awareness, so be sure to wear pink this month, post your photos on Facebook and Instagram, and use the hashtag #CFIThinksPink. Let’s keep the support going! If you or a loved one’s life has been touched by cancer, you can make a donation to The Common Thread For The Cure Foundation if you feel so inclined. 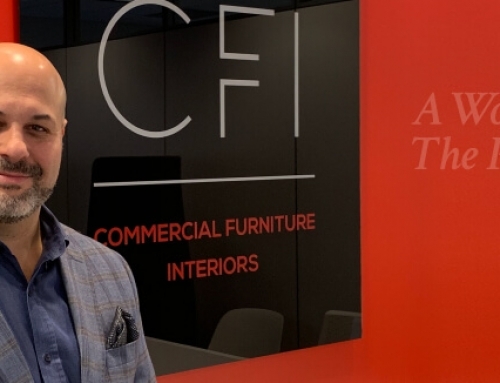 The Common Thread For The Cure was established to unite the furnishings industry in the battle against breast cancer and to help assist caregivers and their families in their valuable and demanding role. Please visit www.commonthread.info to learn how you can help.